Packed with a powerhouse of superfoods with goji berreis, blueberreis, chia, sunflower and linseeds combined with a delicious raw peanut butter, dates, almonds and honey. 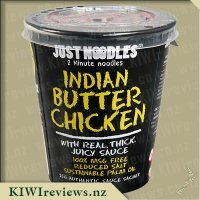 I had seen these on the KIWIreviews website for a while to try out so thought I&apos;ll give them ago. I did have a look at the other reviewers comments and was suddenly thinking maybe I shouldn&apos;t have. The packaging is really great it&apos;s bright and catches your attention and shows the ingredients used inside. I was however expecting them to be in a more of a fruit and nut mix or as a scroggin so was surprised to see it was in more of a baked item cut into bite sized pieces. They are literally bite sized pieces - one bite and they are gone, for the price of $6.99 you could get a pretty fancy box of Museli bars which would be much more satisfying. They are great however being gluten free, wheat free and dairy free and would be a healthy treat if your kids loved them. I can not imagine my kids eating them, my husband and I tried them and found them quite tasty but with the dates flavour are on the less sweet side so can imagine not many kids would enjoy these. I honestly would not buy these if I saw them in the supermarket, for its price there are plenty of other cheaper products on the market that are just as healthy but more satisfying and substantial in size. 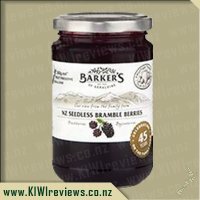 I have tried the other bites in the range before taking this to review. So I knew what to expect, packaging and size wise. I was interested to see what the flavour would be like. I haven&apos;t had much exposure to goji berries. However I have had a few chia drinks and desserts and all of the other ingredients sounded delicious. These bites had a different texture to the other bites in the range. There is quite a seedy crunch to each chew. I personally like eating seeds with honey and other fruit and nuts, so that texture was completely fine with me. However, my children didn&apos;t want to try it due to the initial texture. That was okay though, as I always say "more for me". I took the bites away with us recently where I was going to be on the go most days. I had these as a snack whenever I got hungry. I walked for over 2 hours every day, and it was lots of up-hill slog. These snacks got me through each day and I never felt like I needed a real break until later in the evening. I was pleased with their performance. The flavour for me was delicious. 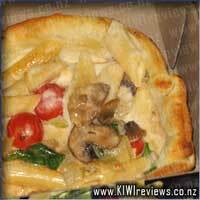 As I already liked most of the ingredients, it was easy to adjust to the different texture. I would buy these ones again, because they would be all for me and I could happily have a bag of them in my desk drawer at work, or in the back pack when we are out for an adventure. The price might be a little out of some people&apos;s range, however I thought they did a good job and would be happy enough to pay that bit extra for something like this. They are probably healthier than some of the other snack packs I might buy. We had quite a crew of family around the other night and they all had the chance to taste the Goji and Nut Bites. I opened a couple of the bites and divided them up so that everyone had about a quarter of a bite each (this was for tasting purposes as I didn&apos;t want to waste them on anyone who didn&apos;t like them after a bite!). I had previously had other flavours of Loaf Blissbites and really enjoyed them, so I was interested to see what the goji ones were like. The first bite showed me that they weren&apos;t was sweet as the other ones. I think they are a much more acquired taste. When we went out on a bush walk, I popped a few serves in my pocket to share out when people got hungry. It was handy that they came in individual packs as it meant that they were safe in a pocket. My 13 year old niece wondered why they were individually wrapped and thought that it was wasteful. That would usually be my opinion too. However, it was very useful to be able to just grab a few to take on the run for the bush walk and the next day when we went on a long car drive. Dates, goji berry, seeds and orange are some of the main flavours and textures that we could taste in the product. With dates being the main ingredient, Mr Six instantly recognised the taste and wasn&apos;t at all keen. Everyone else found that they weren&apos;t that sweet but in general they enjoyed them. I think that the flavour is a much more sophisticated flavour than the sweeter alternatives. Given time, tastebuds will adapt to a product such as this as I think these days we are so used to sweet flavours being everywhere. We need to do a bit of retraining at times! Having said that, they probably wouldn&apos;t be the flavour I would choose if I was given the option of these ones and the others in the range, but I found them quite acceptable. Like all bliss balls, this product is a fabulous, healthy snack for in the handbag, gym bag, work bag etc. 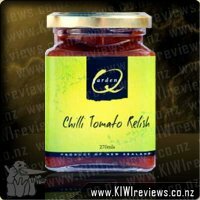 They are made up of quality ingredients and each item is recognisable as a real food item. This is something that I prefer when feeding my family. I shared the packet with two other adults and their daughter (aged 8). One person said immediately that he could taste figs. This interested me as I had thought the same when I first tasted them, but figs are not listed on the packaging. It must have been the combination of other ingredients that produced this effect. Another person said that it was nice but just a bit too healthy for her so she would not buy it by choice. Miss 8 took a small bite, said she did not like it, then took another bite and said she had changed her mind as her mouth had got used to the flavour! The adults all agreed that one was enough as they are very filling. Miss 8&apos;s father commented that he thought there was something missing and maybe the inclusion of a few more nuts might help. But everyone thought that they were satisfyingly moist and were very easy to eat. Two of us noticed a very faint oily residue in our mouths after we had eaten our bites - possibly due to the linseed and coconut content of the bars. However, this was not unpleasant. All in all, we had mixed reactions. Personally, I loved them, but they are pricy so I would probably buy them only very occasionally as a special treat. The other two adults both said they were ok but they would not be their first choice as a snack food. Miss 8 was like me - she ended up asking if she could have another one as they were so nice. I guess it all comes down to personal choice! I received two different flavours of bliss bites to try, and these were the first to be opened. They are small pieces, definitely only bite size. One piece is one bite. The packaging definitely looks more eye appealing than the actual product itself, and to be perfectly honest, if these were served on a plate without packaging, I do not think I would actually give them a second glance. There was about 8 pieces in the bag, so just enough for my family to try one each with a couple left over for whoever liked them the most. Unfortunately, my taste buds did not appreciate them. They were not to my liking at all, and I needed to drink a couple glasses of water once I managed to swallow it lol My oldest son was also not ok with the flavour, and unfortunately he wasnt able to swallow it at all but my middle son and daughter loved them! So they are definitely an acquired taste. Although not visually appealing, they are a great size for the lunch box and as they are packed with super foods you do feel good about popping them in the lunch box, especially when most lunch packaged items are not good for kids. I especially liked that they are gluten free, and that the sugar in them comes from the fruits and honey. So although I personally did not like them, my kids did, and that is an added bonus, especially when it comes to something healthy, and kids today are so picky. We have gone a bit bliss ball crazy in our house and have been trying out different products in the shop as well as experimenting with lots of different recipes. I actually have Goji berries in my pantry but don&apos;t really like them very much so I was interested to see if these Bliss bites might actually be a good combination of them. Goji berris have a very distinct flavour so I was interested to see how this flavour would be masked. The visual appearance of this packaging is appealing but I was a little surprised that upon opening the rahther large bag there were only 8 piece sin side that were each individually wrapped. Definitely too much packaging for too little product for my liking. cost wise 8 small pieces for $6.99 is above the cost of what most bliss balls are priced at and for that reason I would say these are over priced. These bliss bites are gluten free, wheat free and diary free and contain only raw food ingredients with nothing extra added so that is a huge win in my book. With only eight I was able to let the kids have one each leaving two for me t use to review. The kids really loved them and were upset they couldn&apos;t have more. they liked the chewy texture and the moistness of them. The taste seemed to be a winner with my child that doesn&apos;t like peanut butter not minding the peanut taste. I really loved the flavour and texture of these and they were incredibly sweet so perfect for a sweet treat without any added sugar. I probably wouldn&apos;t buy these again as they just work out too costly and I don&apos;t like all the packaging. 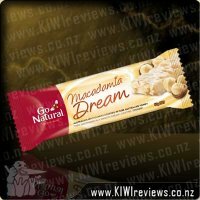 If you are happy with the price point or they are on special however they are well worth trying as they make a great sweet energy bursting snack. I love the outer packaging of this product. A nice photo of the ingredients to show the ingredients included, and a quick tagline under the title &apos;raw ingredients - gluten free - wheat free - dairy free" which is great for those that have certain intolerances or allergies to identify. Even a general "health rating" is positioned on the front with more information on the back regarding the breakdown. Very professionally done. I was a bit concerned when I saw dates on the front, as I&apos;m not really a fan of them, and had picked the product purely on the goji and nut aspect. Upon opening the bag I was disappointed in the size of the product. 8 pieces, all individually wrapped with the amount of packaging probably more than doubling the size of the product. The size of the bite itself barely was larger than the tip of my own thumb. (2cm x 3cm x 1cm if I had to guess actual size). It looked rather unappealing, as if the ingredients have just been blended and jammed together. No real texture differences, and no discernable ingredients in it. Anything could be inside these bites. It isn&apos;t really the size that I could bite into it, but chucking it into my mouth, I chewed on it, and I could instantly sense the presence of the nuts. The sweetness of the coconut, berries and honey was very much subdued, and I personally found it to be rather bland in flavour. The dates posed no issue in the flavour for me, but there was no real enjoyable part to the flavour. Savoury, but nothing that I find too appealing. While I didn&apos;t hate the product, it was just okay. It isn&apos;t something that I would want to go out of my way to get. Especially with the current price, meaning each "bite" is nearly $1.00 each. If they had larger fruit pieces, then I might have been more into it. But as it is, I&apos;ll be steering clear. 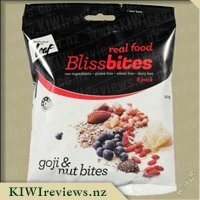 I was lucky enough to receive 3 flavours of the Bliss Bites to try, and was curious about how the Goji and nut bite would fare. I have tried goji berries a few times, but never really taken a liking to them - but am very aware of the health benefits, so hoped these might be a nicer way to have them. When I received these, I did not realise that each bite was individually sealed, so was not sure how I was going to seal the bag up. However, once I opened it and realised they were individually sealed - I was quite pleased. However, I am not a huge fan of excess packaging, so while this makes them convenient, and I completely understand that without this packaging they could be ruined all together, I am torn between convenience and excess waste. The packaging itself is attractive, easy to distinguish between flavours and is easy to read, so you know exactly what is in the bites. But, the packaging is not the main part of this review, so I will moving on. 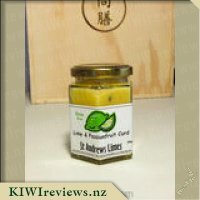 These bites are quite nice - not my favourite flavour, and probably not one I would go out of my way to purchase. They do have a lot of great things in them, and as taste is a very personal thing, I asked my husband and sister to try them also. They said similar - that they were okay, but not top of the list. The texture of them is a little firmer than that of the other flavours, but still great - not too soft, not too firm - very palatable. They have a great combination of raw and dairy / gluten / wheat free ingredients - meaning that many allergy or intolerant people can enjoy them. The flavours work well together - though, if I am honest - I did not taste a lot of the blueberry, or the almonds - but certainly felt the crunchiness of the nuts in the bites. The size of the pack and of each bliss bite, at first appeared small, and I did think - gosh - I could eat all 8 in one go! However, these have been carefully made to have a great combination of ingredients that, after just one bliss bite, leave you happy and a great snack. I would personally use them when racing between work and kindergarten / school pickup, when needing a good energy boost to see me through until dinner. I also used them as a snack whilst watching my daughters dancing - not messy, quick and easy - PERFECT! I asked my children to try this flavour - however, unlike the other two flavours - this one was not a hit. Possibly because it is a little darker - I am not too sure. They just did not even want to take a nibble, even with my encouragement. 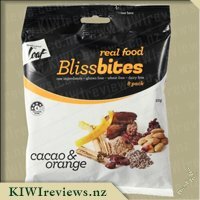 Loaf bliss bites have a good health star rating, which for a snack type food, especially whenever you consider that the sweetness and flavours are coming from natural and raw ingredients is really great. I probably would not purchase these again, as neither myself nor my family were particularly fussed - however - there are definitely those out there that would really enjoy them. The price is not too bad - working out to be around 85c per bite. I was really interested in reviewing these for the purpose they were small bite packets. From looking at the packet it looked the same as the raw snackings I buy my son but my daughter who has Coeliac disease can&apos;t eat so these were perfect for her. Opening the bag was nice and easy with the tear here sign, it was easy to tear unlike some packets, inside were 8 very little bars, when I say little I mean really little maybe like 5cm 5cm square. 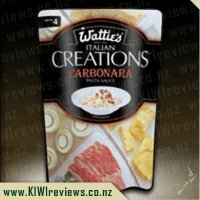 The square contained all the ingredients that were on the front of the packet, which I felt was very misleading sadly. I guess the word bites should of given it away but the picture doesn&apos;t reflect the words. I opened a little packet and gave my daughter half for her to try, she looked at it and said yuck and wouldn&apos;t touch it, so I had to convince her to just give it a try. It is a very dark colour and I do have to admit I didn&apos;t feel it was very inviting to eat either. Once she gave it a try she screwed her face up and spat it out. My son gave it a go and he put a little bit in his mouth nodding his head but screwing up his face he goes this is nice, when asked if he wanted more he goes no thanks I really don&apos;t like it. 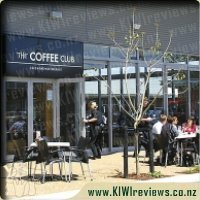 My partner and I didn&apos;t like them either, to me it tasted more like a date than anything else (and I don&apos;t like dates on their own). Since there are 8 little bars I took the last 7 over to my mums for them to try. My stepdad actually enjoyed them and would be happy to eat them more he likes dates and that sort of fruit. My mum and sister also enjoyed them. Just because I wont buy them again doesnt mean others wont, but my mum did state there is only 8 little tiny bars for $7 she wont buy them, if there was a lot more in the packet then she would look into buying them. My stepdad would eat those 8 in one small setting. This hasn&apos;t got me wanting to buy them again as in my house noone liked them. 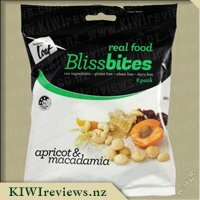 Having reviewed the Apricot and Macadamia Bliss Bites earlier in the week I kind of knew what to expect. Seeing no picture on the packet again besides a picture of what was contained in the Bliss Bites I had imagined something with chocolate for some sort of reason and expected to find a packet with a chocolate casing. Opening it up by the very handy tear here indication I quickly grabbed one out. 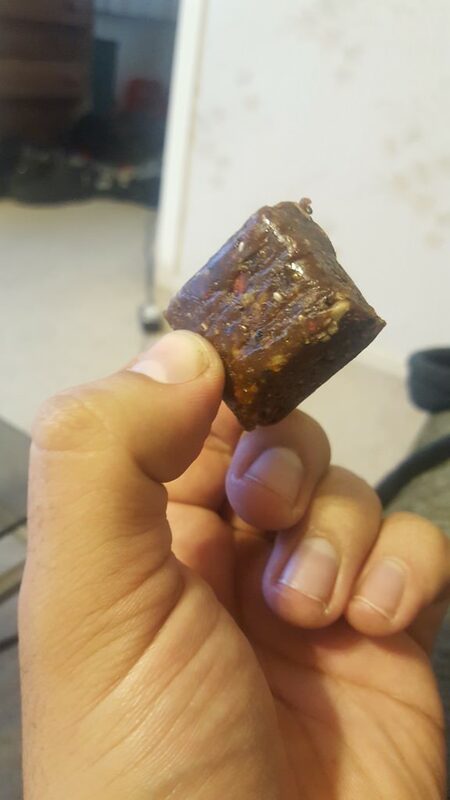 They are individually wrapped and it looked dark so I assumed I was correct but once ripping it open I realised I wasn&apos;t.
Instead I found something that reminded me of fudge, however taking a bite it was extremally nutty and sweet all at once. A little too sweet for my liking. I do like the size of it and you can quite easily take four small nibbles of it so you can savour the experience, but as I was not really a fan I just ate in two bites. They are nice and chewy and would make excellent snacks for the kids and I do like that it has a four star health rating. I gave one to my husband and his face dropped from a grin to one of disgust, where as both of my girls loved it and asked for another one. I do not think in all honesty I will be buying this flavour again it is just a little too rich for my liking, even though my mother in law swears by Goji Berries and always insisting that I start taking them. I can now tell her I have honestly tried tried them and can give her a definite no in the future. My three kids, my mother and I, all tried these out and had a variety of opinions ranging from downright not liking these bites at all to loving them and wanting to polish off the entire packet on their own... Looking at the back and the list of ingredients and nutritional information and these have a decent amount of sugar in them, one bite is 15 grams and has 6.8 grams of sugar, so something that would head more down the treat line of things. Miss 6 and Mr 8 both happily took one each but quickly realised that they didn&apos;t like these at all, a quick discussion with them tells me that they didn&apos;t like the nuts in these and that&apos;s what prompted the "do we have to finish it?". My mum had one and liked it, maybe not enough to buy herself some but enough that if offered, she would happily eat some again. I didn&apos;t like the texture nor the flavour combination of the various nuts with the berries. Miss 5 however, she LOVED these and wanted more and more and more, she wasn&apos;t happy when told to wait but her face lit up when she got her next one. These aren&apos;t something I would buy, but I can see me picking it up on special for miss 5. I have known about Goji berries, and their reputed health benefits, for well over a decade now, and so far the only way I can find the flavour pleasant and appealing is when they are dried and included as an ingredient in something else. The most notable highlight is in a French nougat, but that&apos;s not in my menu planner any more now that I am reducing my processed sugar intake. Hoping beyond hope that these bites would prove to be the next best thing, I bit into the first little nugget. The biggest flavour I noticed immediately was the sweetness of dates. This is a very good thing, because I love the taste of dates. However, the slightly-bitter tartness of the Goji then rode in over the top and blew away my lingering optimism. For some, my youngest son included, this is not an issue... but for someone like me, struggling to overcome a life-long &apos;sweet tooth&apos; habit, it wasn&apos;t an ideal taste profile. It took me forcing myself to eat at least three more &apos;bites&apos; before I could get past that tartness enough to assess it fairly, and even then the results are: "This is a healthy product, and certain to appeal to many people... but it just isn&apos;t for me." 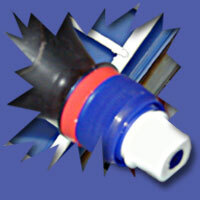 Overall, it is a quality product - there&apos;s no denying that. It&apos;s well produced, using good quality raw ingredients. Each &apos;bite&apos; is individually wrapped to ensure not only maximum freshness for the longest possible time, but also that they can be popped in the kids&apos; lunchboxes and won&apos;t make a mess even if squashed. But, it&apos;s also going to prove to be more of an &apos;acquired taste&apos; I think. At around 87c per &apos;bite&apos; these are not the cheapest snacks around, and may be the one flavour in the range that gets left in the pantry until all other options have been used up. 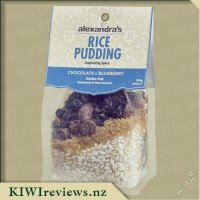 Dark coverture chocolate, dried blueberries and Alexandra&apos;s spices combine to make a sumptuous gourmet rice pudding.